The view from Scenic Drive just north of the Arataki Visitor Centre. 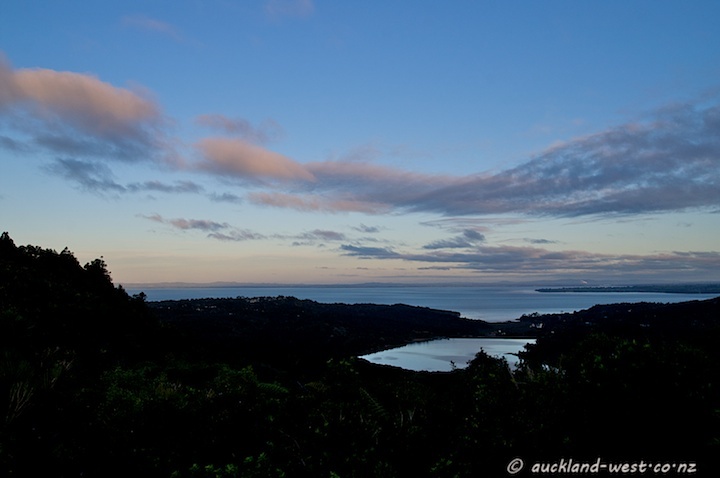 The bush of the Waitakere Ranges in the foreground, the Lower Nihotupu Reservoir, and the Manukau Harbour. In the sky, the lower clouds have already lost the sun, whilst the higher clouds still get a faint pink. Great photo for SWF!Have a nice weekend!Greetings to NZ!